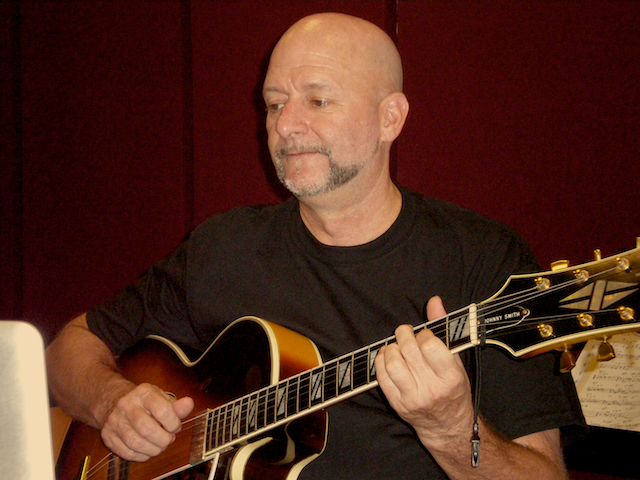 Guitarist, composer, and educator George Hess has been teaching and performing professionally for 40 years throughout the United States and Southeast Asia. His extensive background includes playing a wide variety of music with such performers as Ryo Kawasaki, Jim Nabors, the Osmonds, David Liebman, Bob Berg, Adam Nussbaum, Randy Brecker, Frank Mantooth, Conrad Herwig, and Rufus Reid. He recently released an album of original works and has also led his own touring groups, performed with orchestras, and played dozens of musicals. An award-winning teacher, he is currently Professor of Music at Sunway University in Malaysia, where he teaches audio production, composition, and arranging. Prior to coming to Malaysia, he taught jazz, music technology, and music theory while a member of the faculties of the Yong Siew Toh Conservatory in Singapore and Central Michigan University. Dr. Hess has presented workshops and clinics on jazz improvisation, theory and guitar at conferences and schools throughout the world and is a member of the Jazz Special Interest Group committee for the International Society for Music Education. He also coordinated technology sessions for the IAJE annual conference for 5 years. In 2010, was named an Apple Distinguished Educator and was recently named one of the 50 leading flipped learning educators in higher education. George graduated from the Berklee College of Music where he studied arranging and composition with Michael Gibbs and guitar with John Damian and Bret Willmott. He later completed masters and doctoral studies at the University of Northern Colorado studying composition and jazz pedagogy under Gene Aitken. George also spent five years being mentored by jazz great Johnny Smith while teaching guitar at his music store.